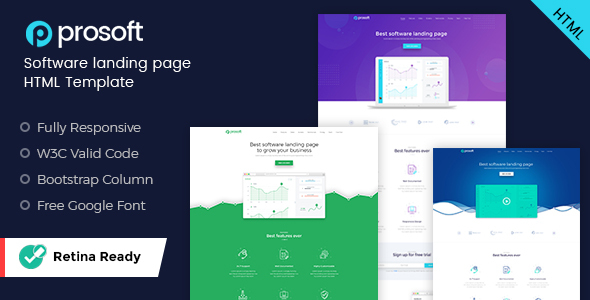 profost is clean and modern Software landing page HTML template. This is One Page HTML / PSD Template design for startup and service launch landing page. It is designed with Unique concept, clean & modern Look. The FREE Google Fonts are uses giving good look the layout.